In the category departments different types of areas can be created. In a restaurant for example, there would be the departments 'kitchen', 'service' and 'bar'. Employees can be assigned to one or more departments. They then can only apply for shifts, that are placed in the departments they have been assigned to. 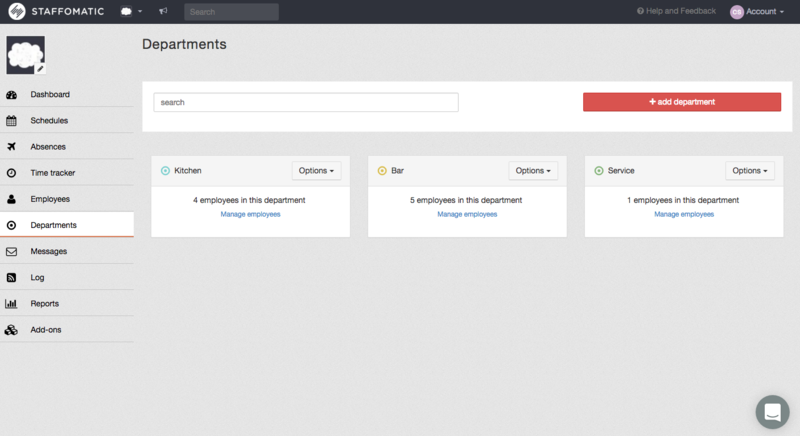 For the creation of a (new) department, see "How do I create departments".